Rudolf Steiner Fellowship Foundation Inc - Act now to sustain the Fellowship Community! Act now to sustain the Fellowship Community! As you may be unwrapping presents, the Fellowship Community is wrapping up its fiscal year-end and needs to reach its fundraising goal for 2018. Any additional contribution that you can make right now gets us closer to that goal, with $100, $50, $25 all going to support the care of our elders and the community that sustains so much more. 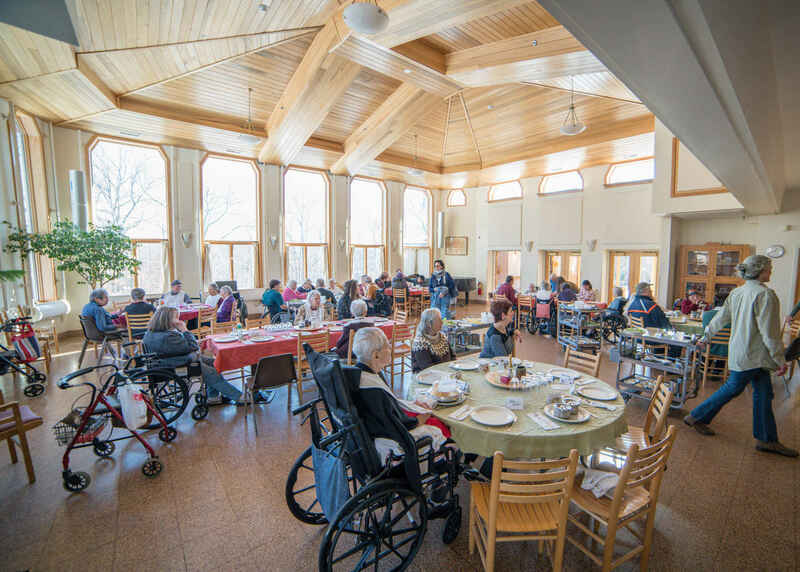 The Rudolf Steiner Fellowship Foundation is a 501(c)(3) non-profit corporation dedicated to the pursuit of bringing the human being into focus in eldercare, in education and in the world. Thank you for your help right now! I have witnessed the exceptional care this community has been striving and actualising! to provide for many years now. Wishing the Miele-Herndons a Happy Anniversary! Shared values in the care of older adults, which acknowledged the continued contributions they can make. I am so appreciative of all that Ann and Paul Scharff have helped to provide for so many. I know many many people also have helped.